Dan Fazzino is a black belt under Mike Wacker of Black Hole Jiu Jitsu in New York. He is a skilled competitor and talented Brazilian Jiu Jitsu instructor. Dan got his start in the world of grappling with several years wrestling training. He moved on to compete in judo at the collegiate level, and then began Brazilian Jiu-Jitsu in 2010. An active competitor, Dan has won divisions in NAGA, IBJJF, and Grappler’s Quest, along with many other local tournaments. He also holds the Mixed Martial Arts ACC Light Heavyweight Title. 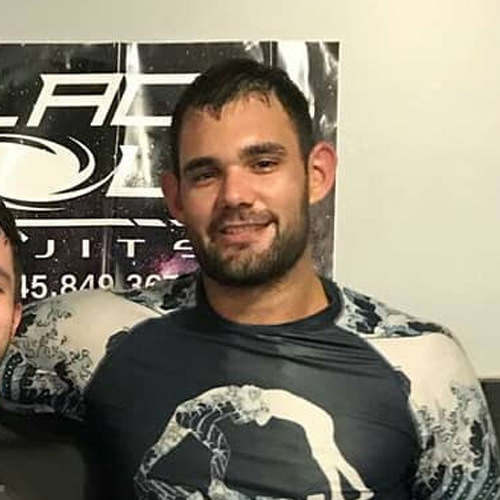 Dan opened the doors of Black Hole Westchester in 2018, where he hopes to instill his passion for the sport of BJJ in his own students. He brings several years’ experience instructing children and adults. Dan is constantly seeking to improve his skill, and he carries an equal passion for watching his students grow and achieve. All athletes, from serious competitors, to BJJ newcomers, to individuals simply looking to have fun while learning self-defense and getting in the best shape of their lives, are welcome at Black Hole Westchester.